You know what they say – when one door closes, another one opens. What they don’t tell you is that, sometimes, you have to physically close that first door yourself. In some cases, it might be automatic and easy to do. Or, in others, you might not realize right away that this particular door needs to be closed, maybe the hinges have rusted, and you need to put some strength, physical and emotional, into it. For sixteen years, June 3 has been somewhat of an anniversary for me; a date that I have continued to recognize since 1998. It was the day that everything changed for me – the day that I went from a child to a mature young woman, on a new road to independence. 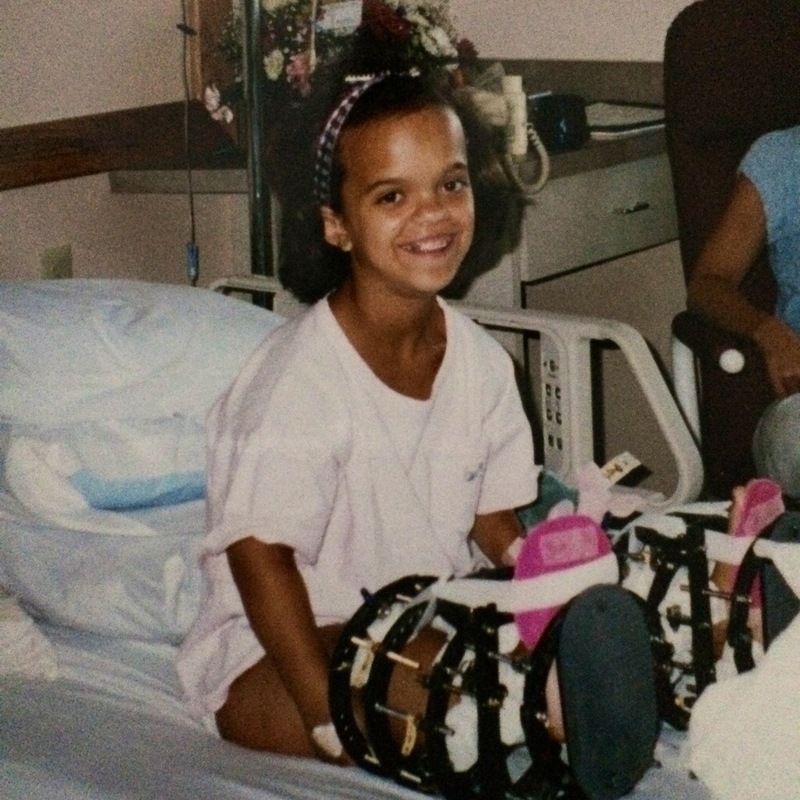 June 3, 1998 was the day that I underwent my first lengthening and corrective surgery in Baltimore, Maryland. This journey was nothing like I imagined it to be during my years of preparation; the people I met and the lessons learned, not to mention the physical transformation that my body made. But after sixteen years, I am realizing that this surgical journey is no longer a part of me – especially since I am officially free of all internal hardware… finally! Don’t get me wrong, I’m not saying that I no longer identify with this part of my life – it is my past and it will always be there. As an empowered woman, I am owning it, just not letting it impact ‘what is’ today. So today, I am saying farewell to that part of my life and closing one big heavy door after years of resistance. I’m doing so with immense gratitude; for the inches gained and the friendships formed. But in closing that door, a new one has opened and with this new doorway has come the beginning of a new journey. With more confidence, love, compassion and acceptance than ever before, I am moving forward to pursue what I believe to be true. What makes me different, makes me beautiful. It is who I am, a messenger of acceptance, perseverance and growth, a woman who may have a different body but has experienced joys, sorrows, desires and struggles… just like you. With little legs and a big heart, here’s to moving on and slamming that big heavy door closed. Saying goodbye to one journey and living another.